Yesterday D and I tended to household chores all morning. By early afternoon it was so hot we couldn't resist breaking for the pool so we spent a few hours floating in the sunshine. Today is a rainy, cozy day inside so I'm cleaning the nursery and going through all of the bird's clothes and blankets so I can wash them. I'm still convinced that she's going to come early so I'm feeling the pressure to have everything ready. Nesting at it's finest. Since I'm going through her things, I decided to snap some pictures of her newest gifts. I only took pictures of some of it.. I'll spare you guys every single detail of her wardrobe/toys/etc.. but everything is so cute and precious and it'd be a shame not to show you guys some of it. Left: Her tummy time mat! Right: Handmade faux L.A.M.B. blanket(aka GENIUS) and a lullaby version of The Ramones cd. 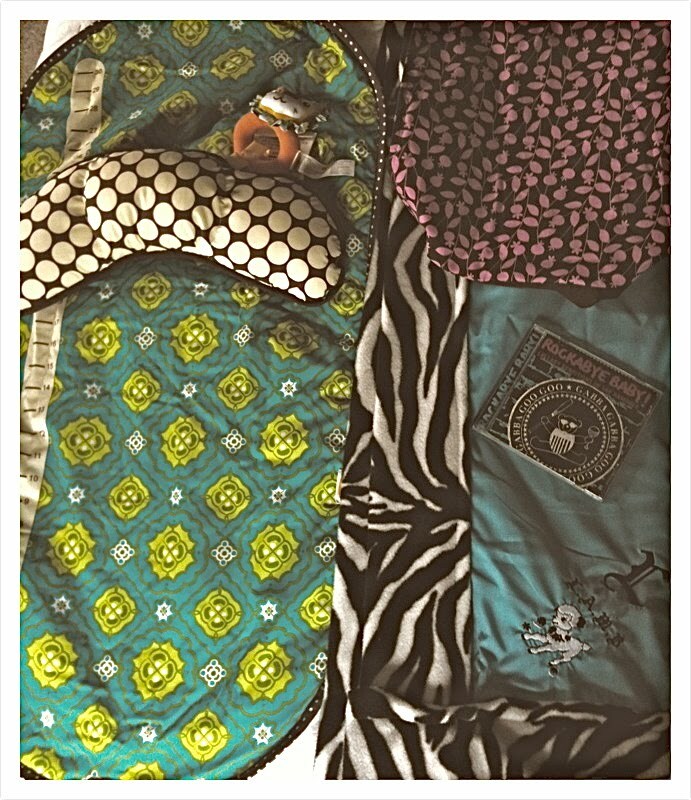 Top right: Pink and brown baby carrier. We also got a black Moby Wrap for when she still can't hold her head up by herself. 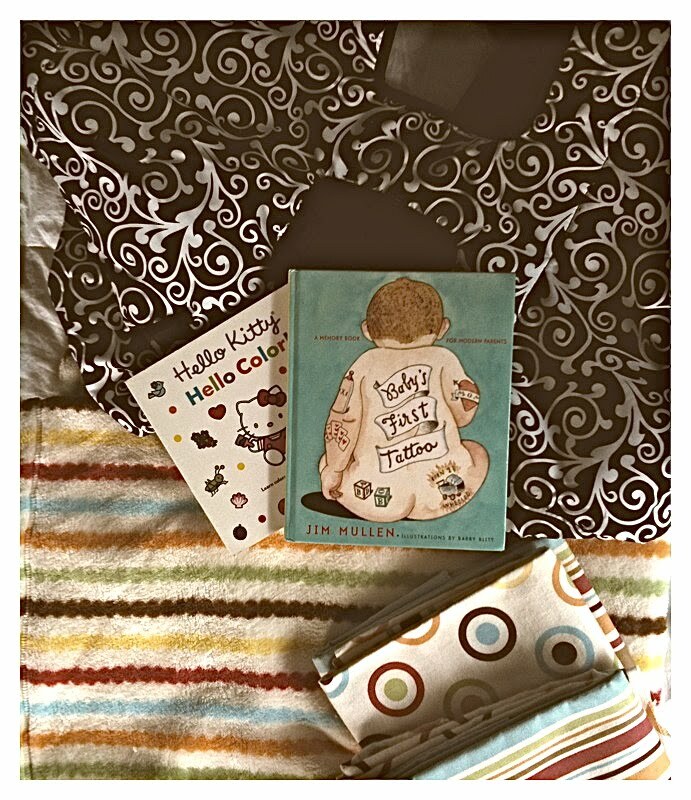 Some new books, striped and polka dot receiving blankets, and a b&w shopping cart cover. Dress, romper, handmade faux L.A.M.B. 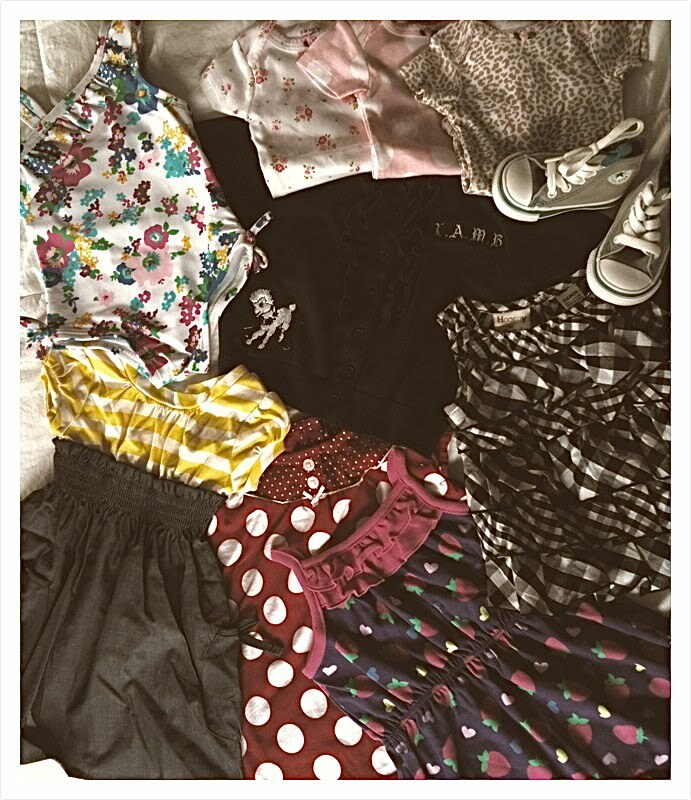 sweater, Converse, shirts, onesies, and yes another swimsuit! I'm off to do laundry and make some warm tea to pair with this weather.. hope everyone's having a great day! In the pic on the right it looks like you are carrying so high! 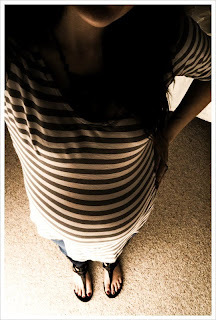 Its an adorable baby belly. And check out all that cool swag! Can I be your kid too? I love the little baby lamb on the L.A.M.B. sweater & blanket. Tons of cute stuff and lovely fabrics! Everything looks great !! Ohh I see some cute Target pieces, as well as Carter onesies. Adorable stuff! I am catching the baby fever again. Eek. Last night the hubs said he can't wait for another one and neither can I haha. I love the Baby's First Tattoo book. I would love to read it myself. Its so funny because Evangelina looks at the hubs and my tattoos and says, "Beva too." While patting her arm. Silly little one. 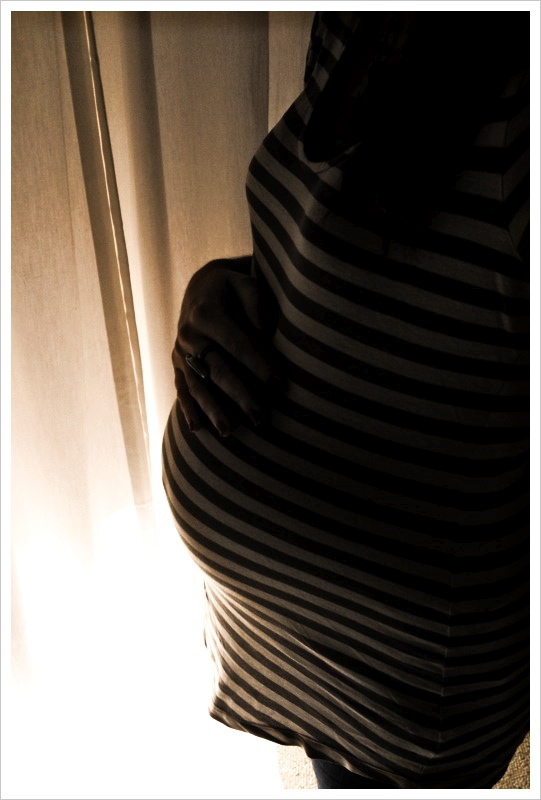 Oh and it wasn't long after I started nesting when I went into labor with Evangelina. 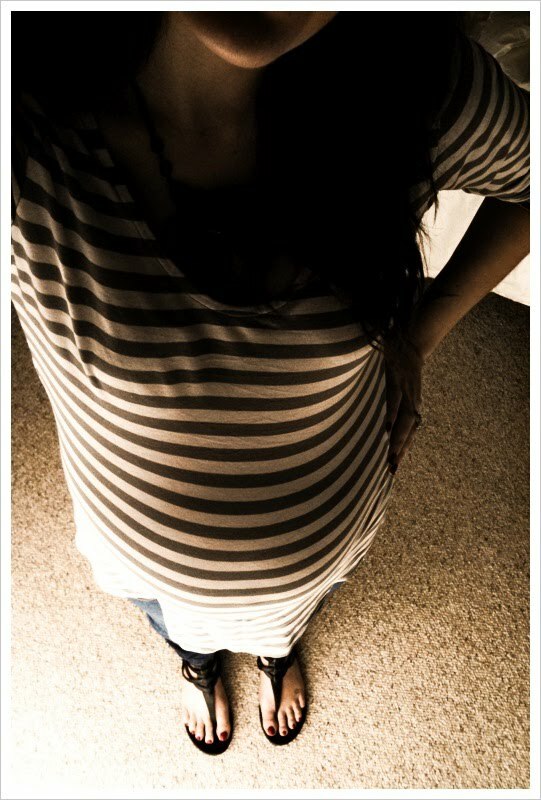 I'm so excited for you pretty mama! i dont see anything wrong with posting pictures of every single thing you own of hers. nope, no problem at all. love all her stuff!